Have you heard about Shareholder Fees or Operating Costs? Before investing in funds - make sure you know the fees and expenses associated with funds. Do you consider mutual funds as an investment? Mutual funds are still considered one of the easiest, simplest and most affordable ways to invest in the funds market. It’s not necessary for investors to have any prior financial or economics background and knowledge. When you put your money in a mutual fund, a professional manager will take care of the investment. A major rule in finance is to build as much diversified portfolio as possible in order to manage the investment risk. Mutual funds can help you diversify your portfolio because they invest in hundreds and even thousands of various assets. Recommendation: put your money in several different mutual funds. This will even lead to a better investment portfolio. Not only are they easy to access but also quite accessible. Initial investment could be as low as $100. If you are investing on your own, how many assets can you purchase for $100? Not many. Can you build a diversified portfolio? The answer is no. This is one of the greatest advantages, especially if you are a rookie and have no knowledge of the market. You shouldn’t worry because a team of pros will take care of the investment strategy. This will save you countless hours of hard work researching the market as well as pitfalls down the road. Now that you know the basic advantages of investing in mutual funds, let’s see what are the fees and expenses an investor has to pay. The first group’s name is “Shareholder Fees” and include all charges imposed on buying, selling or exchanging mutual funds. They could be front- and back-end sales loads, redemption fees and others. The second main group identified by the “Operating Costs”, which stem from the management of your account. They are several types, such as management and distribution fee as well as other expenses. This is the amount of money an investor pays when buying shares with a broker or a financial advisor for their services. Usually, this fee varies between 5% and 8.5% (the Financial Industry Regulatory Authority does not allow sale loads to exceed 8.5%). Let’s ssume your initial investment is 5,000$ and the front load is 6%, which makes $300% is the sales commission you have to pay the mutual fund. This makes your actual amount of investment $4,700. This type of load is charged only when an investor sells shares. Normally, the amount of back-end sales load is a percentage of the share value. For example, you invest $5,000 in a mutual fund charging 6% back-end sales load and when buying a fund’s shares you will have $5,000. Should you sell the share, the fund will impose the charge. Some mutual funds have fees when investors redeem their shares. Usually, it’s a percentage of the redemption price and its purpose is to discourage traders from short-term investments. Unlike back-end loads which are used to pay a broker his commission, these fees go back to the fund itself. Some of the other shareholder fees might include account fee, purchase fee and exchange fee. Some funds impose account fee for maintenance of your account. Most mutual funds charge an exchange fee if an investor transfer shares from one fund to another. Purchase fees are imposed when a trader buys shares from the funds. This fee is not the same as a front-end load, and the former is distributed to the fund itself and the latter to the broker. All mutual funds have a team of pros and advisers and you, as an investor, should pay them for their services – researching and picking up the best assets and managing the investment portfolio in general. Each fund has a management fee and it’s usually a percentage of the total value of the fund. The range of management fee is normally between 0.10% and 2%. Also known as marketing or 12b-1 fees. Distribution fees are charged to cover distribution, service or marketing costs. They usually start from 0.25% and reach the maximum of 1% of the fund’s net assets. How is this fee calculated? It has two parts: marketing and distribution fee, which can amount up to 0.75% (maximum). The second part is service fees which can be maximum 0.25%. Sometimes there other operating expenses which we do not categorize as distribution or management fees. However, they also contributed to a fund’s operating costs. For instance: legal expenses, administrative costs, certain shareholder service expenses, accounting costs, etc. Mutual funds are easy and accessible financial tools. Despite that, a future investor would like to be aware of all the expenses, costs and fees that go with a mutual fund. 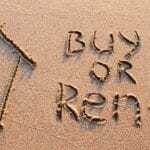 Buy Vs Rent a House – Which One is Better For You?